Marrakech New York is situated in one of the premier locations of New York and is a great choice if you love and splurge on holiday shopping. 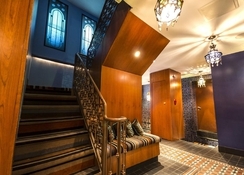 This Moroccan-themed hotel offers top-quality service, welcoming personnel and comfortable rooms. 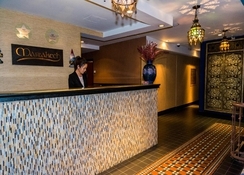 Facilities include a chic lobby with a 24-hour reception desk. Signature design elements are accented throughout the hotel such as authentic Moroccan lamps, dining tables, ceramic tiles, rich fabrics, and robust colours combine to present an atmosphere of tranquillity and excitement. All the rooms in this hotel have contemporary style fabrics and furnishings, making your stay truly luxurious. Marrakech New York, in its vicinity has several shops, restaurants, bars and places of interest. 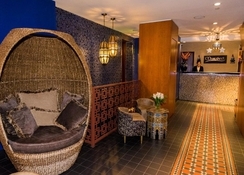 The hotel has a Lobby Lounge, where you can unwind and have some relaxing time. Situated on Broadway, the hotel is proximate to many shopping malls, restaurants, bars and shops whilst the train and metro stations are only a few blocks away enabling to explore New York City at your own pace. Airports through which you can access this hotel are: JFK International Airport at 27.8km, LaGuardia Airport at 12.9km and Newark Airport at 42.6km. 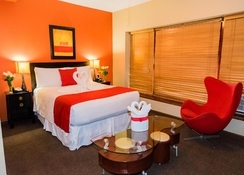 The hotel offers stylish rooms and suites that feature modern interiors with warm colours and rich furnishings. 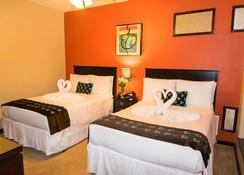 The guestrooms are categorised into Standard Double Room, Superior Room and Double room. 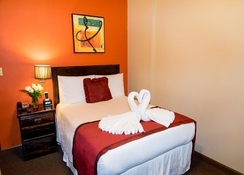 Some of the in-room amenities include two full beds, flat screen HDTV with digital cable channels, private bath, air conditioning / heating, Wi-Fi, daily housekeeping and iPod docking station. There is a wealth of restaurants and bars around the hotel to serve your favourite dishes. 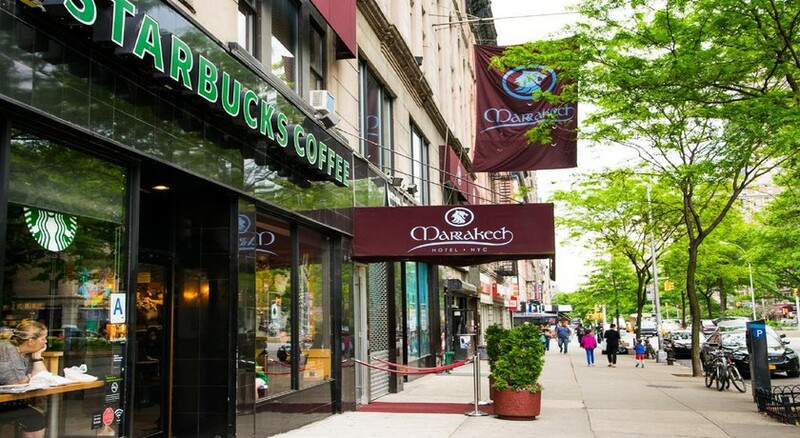 Take advantage of the Starbucks coffee shop, which is right next to the hotel. Some of the bars and restaurants near the hotel include Sookk (Asian and Thai), Aangan (Indian), Flor De Mayo Restaurant (Chinese, Peruvian and Latin), Cafe du Soleil (French and European) and many more. Or take advantage of the in-room service to make yourself comfortable. It is suitable place to stay for those who are looking for a soothing massages and beauty services from head to toe. In addition to this, there are numerous sports clubs like New York Sports within close proximity to the hotel. Golf lovers will not be disappointed either as there are very well maintained golf courses near the hotel.